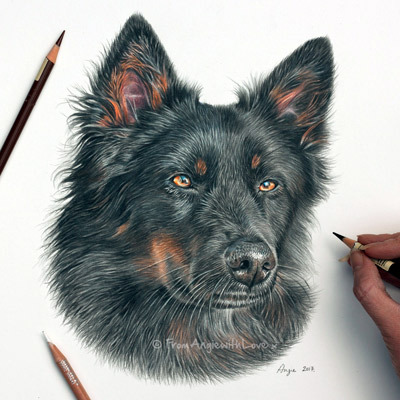 The German Shepherd – formerly known as Alsatian or Alsatian Wolf Dog – was originally bred to herd sheep, but their intelligence, obedience and ease of training make them popular pets as well as suited to other kinds of work such as search and rescue, security, and even acting. 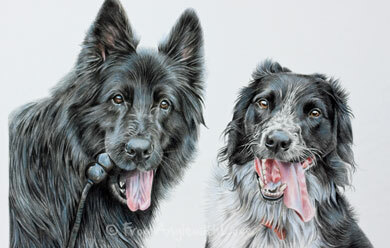 Pencil portraits of German Shepherds tend to work well, with their long, thick fur and varying colours coming across beautifully in both coloured pencil and graphite. 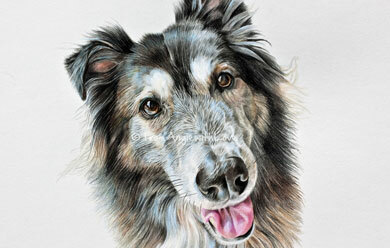 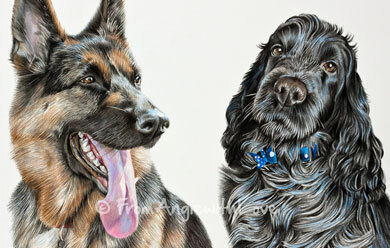 Find out how to commission your German Shepherd pencil portrait here.